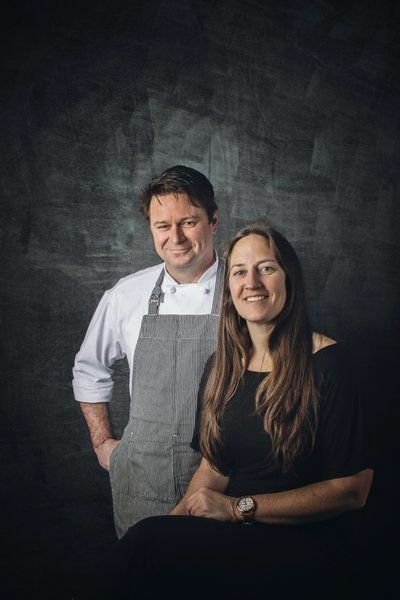 TRAVERSE CITY — Cooking has been a constant adventure for Andrew Schudlich and Cammie Buehler. The travel chefs have served up food all over the country, whether at a duck hunt in Arkansas, a birthday party in New Orleans, an auto show in Las Vegas or a Jeep trail ride in Moab, Utah. But the two return to their Leelanau County roots each summer to run a seasonal catering business. Schudlich and Buehler run Epicure Catering at the Cherry Basket Farm, 530 N. West Bay Shore Drive in Northport, from May through October. It has been that way since the longtime friends moved there to form the catering company in 2003.